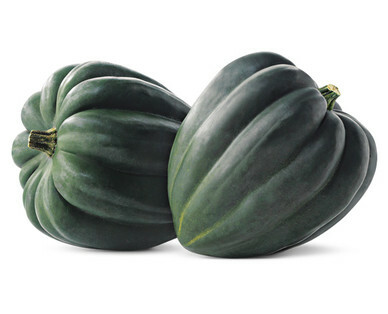 This Winter Squash is packed full of Vitamin C, antioxidants, Magnesium and Potassium and is high in complex carbs. Acorn squash can be prepared in countless ways only limited by your imagination. Bake and scoop out the rich delicious flesh for use as a mashed side dish OR leave the skin on and use acorn halves as bowls to stuff with your choice or seasonal treats; our favorite stuffings include spicy sausages, cheeses, nuts and cranberries.